Pavita is the founder of More Difference, a talent and career insight business that works with organisations and with individuals to promote accelerate talent in all its forms. She enables organisations to think differently about their people challenges with greater creativity and diversity; bringing ground-breaking insights on external trends along with an empathetic understanding of internal challenges. She manages to be personally reassuring and professionally provocative in career-defining situations. Pavita is a leading talent and diversity expert. She has over 25 years’ experience working as a global head of talent across a range of global blue-chip organisations – as a professional advisor to CEOs, executive teams and business leaders, as a corporate leader herself, and as a social entrepreneur and champion for change. She has worked in financial services, energy, consumer, professional services and luxury goods. 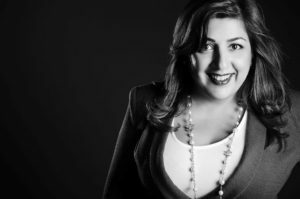 Pavita has led in-house Board level appointments and promotion processes, as well running her own boutique Executive search firm. She understands that organisations need fresh and innovative solutions for their ongoing talent challenges. She also understands that individuals need trust. Pavita blends diplomacy with directness to create unprecedented shifts for individuals and organisations. Pavita is a passionate advocate of diversity in the C-Suite and committed to accelerating the progression of “hidden” talent including women, ethnic minorities and leaders with atypical backgrounds. Pavita is a Steering Committee Member of the 30 Percent Club, she sits on the Advisory Board of Business 3.0. She chairs CMI Race and serves as Chair National Ball Committee KidsOut. She is a regular speaker on women in business, increasing ethnic diversity and the acceleration of diverse talent in the pipeline to the C-Suite and Boardroom. In September 2017, Pavita was awarded Women of the Year at the Asian Business Awards.